The Boston GP-163PE benefits from Steinway & Sons’ design to create an unrivaled class and value instrument. This particular model has been further enhanced to create a Performance Edition. 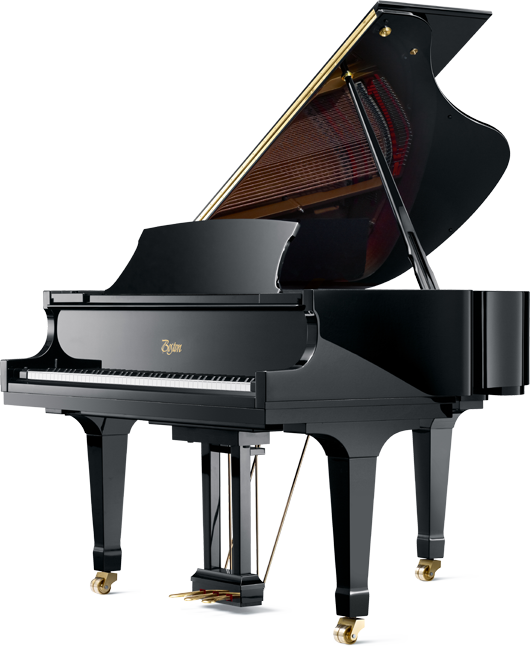 This features improved materials, specification and performance, which you are unlikely to find in a mid-price range grand piano. At five-feet four inches, this smaller model of grand piano is perfectly sized to fit into most homes, while the wide tail design delivers the deep rich sound of a far larger grand piano. It features a duplex scale which has been adapted from the design made famous by Steinway & Sons. This adds a richness to the harmonics which cannot be emulated. The Boston has a less tension in the springs than other models of piano. This reduction in tension facilitates a tapered and larger soundboard, allowing longer sustain and greater quality of tone. The GP-163PE benefits from a vast array of other engineering and design enhancements. This includes the optimal placement of the bridges, braces and ribs to accentuate the stability and tone. The soundboard on the Boston has a larger soundboard when compared to pianos of a similar length due to the innovative design of a “wide tail”. This is a wider construction of case allowing for a greater soundboard area in smaller models. Boston quote that the wide tail design provides a soundboard area of a 6’2 piano within a 5’10 Boston. Overall, this creates a more powerful and rich sound which has creates the feel and experience of playing a larger piano. The soundboard has been crafted from Sitka Spruce, which is widely believed to provide the greatest resonance. It is precisely tapered for freer vibrational movement. When operated in conjunction with the innovative and patented technologies of Steinway & Sons, it creates a sustained powerful tone. The Boston GP163-PE does not merely provide a great quality of sound. The overall design and finish has been combined to create an elegant aesthetic which is available in walnut satin and polished, mahogany satin and polished and ebonized fine veneers. This creates an attractive and lovely finish which enhances the playing experience. The classic cabinet style is accentuated with these crafted touches and solid brass polished hardware. This quality of finish and tone, together with the price range, makes the Boston GP163-PE a great choice for pianist of any skill level. 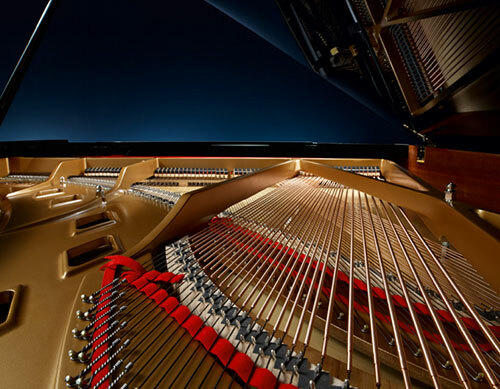 It provides the perfect instrument for beginners or even more experienced players, offering a fantastic playing experience with the reassurance of Steinway & Sons design aspects. The rich sound will create the ambience of playing a far larger instrument, which can provide a deceptive playing experience. The aesthetic appearance makes for an attractive addition to any home, while the smaller stature makes it more practical to comfortably be accommodated within a domestic property.